My next year resolution is that I won´t waste as much food as I did this year! I will use more food from the pantry and plan our meals for the week before doing groceries. 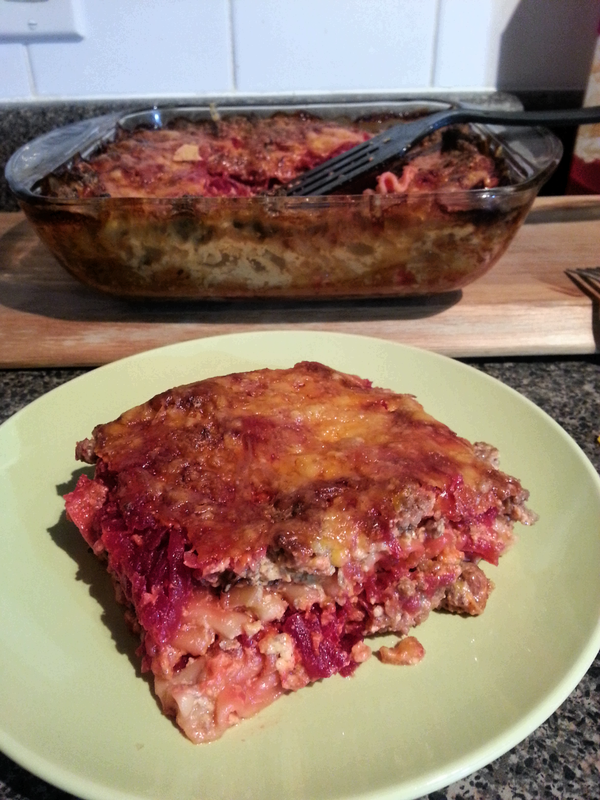 Tonight I kinda started with it, we had 3 leftover beets and half a can of evaporated milk in the fridge, also ground beef and found a few lasagna noodles. Also we had cheese and onions. 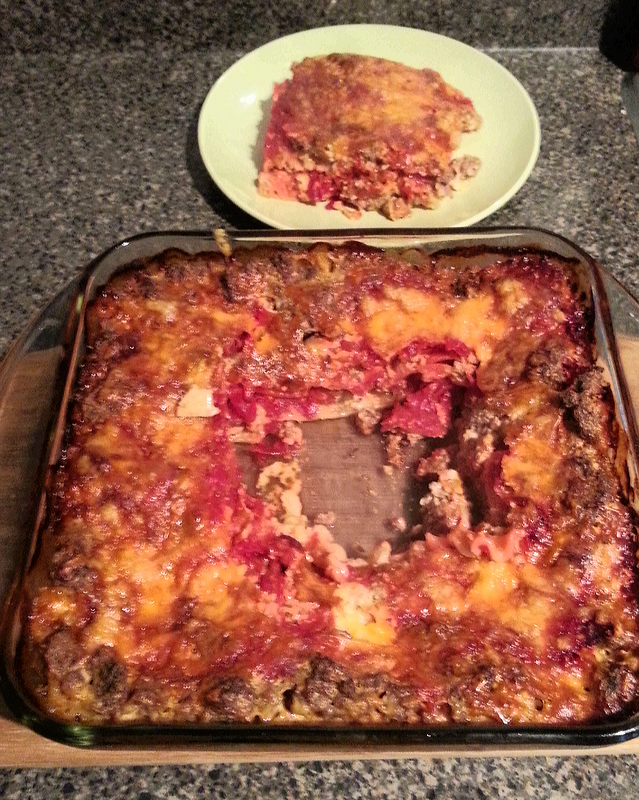 So I decided to make beet lasagna. Never done it before! I remember reading it about from some magazine but can’t really remember right now. I didn’t use a recipe, I made one up. Boil beets and grade them, add salt, pepper or whatever spices you like. I had leftovers from the beet salad so I didn’t have to boil them which saved me a few hours. 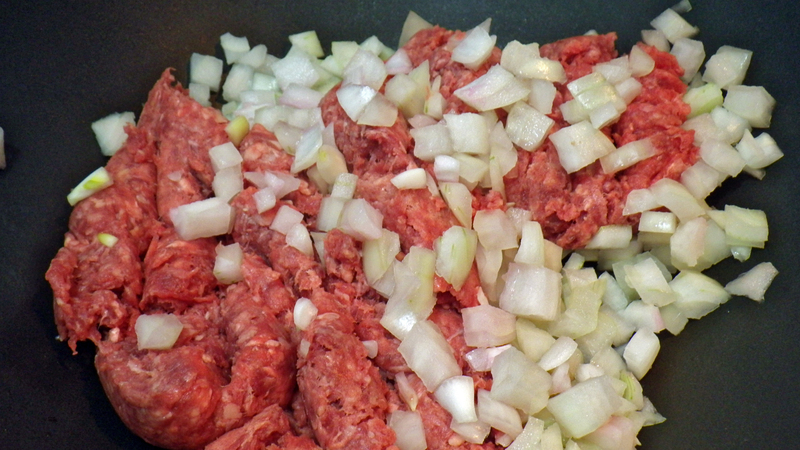 Fry up onions with ground beef, season. Mix together evaporated milk, 2% milk (or whatever you prefer) and flour. 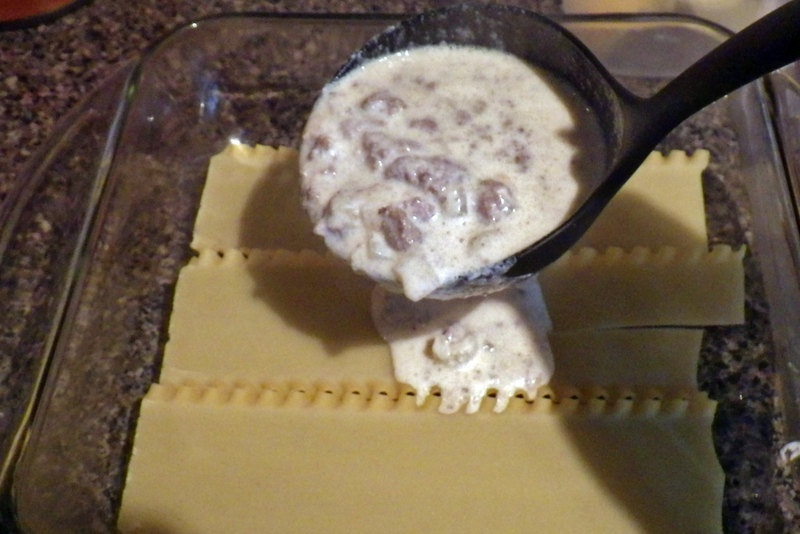 When ground beef is ready add milk mixture to it and simmer on medium for about 7 minutes (just like making a sauce). If you think it came too thick, add more milk. You can also do half milk/half water. I also fried up few potatoes for back-up, in case the lasagna didn’t turn out delishh 🙂 But we didn’t need them! 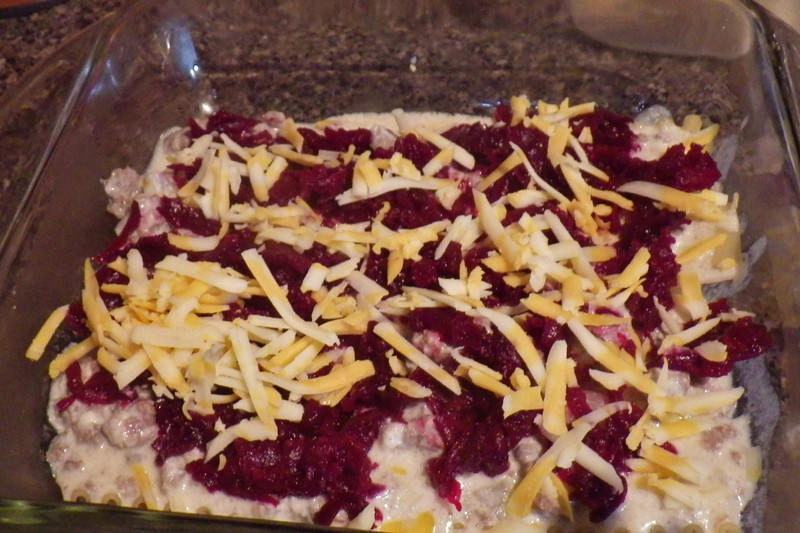 Now everything is ready – start layering, first noodles, then ground beef sauce, then beets and repeat! Add cheese between the layers and on top. Put it in the oven 400 F for 45 minutes.